This is a trailer for Star Wars Battlefront 2 that was shown at E3, as well as some gameplay footage. 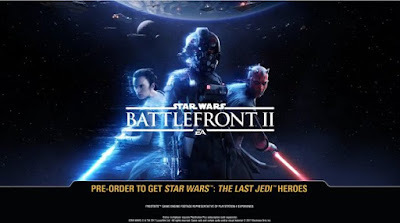 The game will contain a story mode involving an unknown soldier in events that take place sometime after Return of the Jedi. It also said the game will feature multiplayer battles across all eras and gameplay footage showed Darth Maul, clones, droids, and vehicles. The video game will be released on November 17, 2017.